If you’ve been a decorating buff for any period of time you have seen the “flag theme” overdone as an interior color scheme. 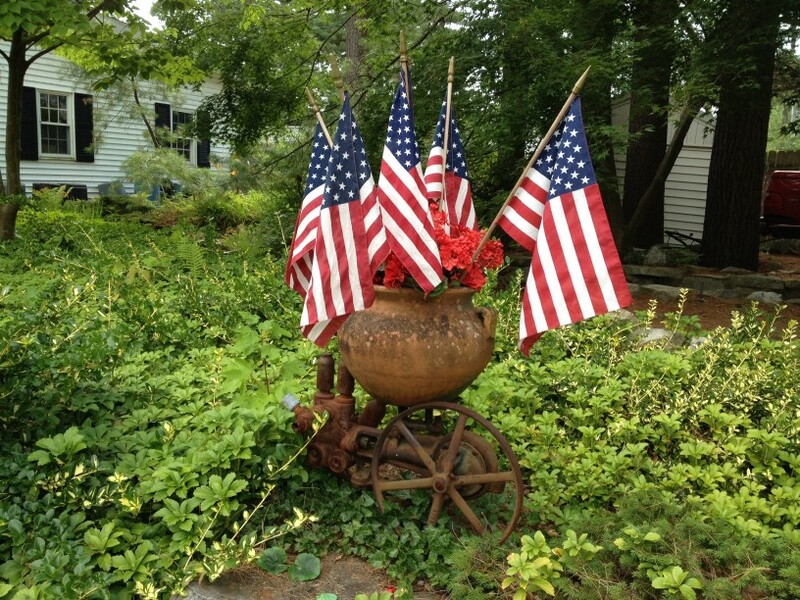 Oftentimes the red, white and blue decor and accessories come off as corny or schmalzy. We fly the flag frequently on our house, but the buntings only appear for holidays. July Fourth is a wonderful time to gather with friends, family and community to celebrate what has made this nation great. There is so much more to celebrating our independence than a sale at Wal-Mart. Grab a flag out of the flower pot, take the kids to Main Street and watch the parade. Later in the day, toss a blanket on the lawn at the park and cuddle with your kids as you watch the fireworks.